With a whistle and a “Hello,” CHAPPO introduces Future Former Self, the Brooklyn psych-rock band’s second album and a welcome ray of blue sky in an often dreary, too-weird-for-its-britches genre. A dash of glockenspiel, an excited hand on the guitar, and a head for hooks helps CHAPPO find a novel musical sensibility within shining synthscapes and far-out production techniques. Although the band calls Future Former Self a concept album about a man traveling to a black hole, if there’s a concrete story in these 10 songs, it’s not obviously apparent. In fact, the album’s lack of real internal consistency is more a plus. Instead of digging their heels into one established vein of psychedellia (see: Temples), CHAPPO has fun with a variety of effects and experiments. Vocally, they try auto-tune chirps, multi-layered voices, talk-singing, and just plain lovely falsetto. Just trying to parse apart all that’s going on in a single tune is a feat of mental strength — it takes a lot of digging, and CHAPPO employs every element for a purpose. Acoustic guitar finds a place in “Something’s Ringing,” which recalls MGMT circa Congratulations. “Run Me Into the Ground,” on the other hand, drags in a distorted guitar for just the right amount of melody, lovely twinklings of synth sounding like spaceships in the distance, and the chorus pounds a bluesy groove into the floor before lightening up for the verse. And “Orange Afternoon” is nothing if not groovy. It’s an incredibly strong display of contrast, something psych bands rarely accomplish. 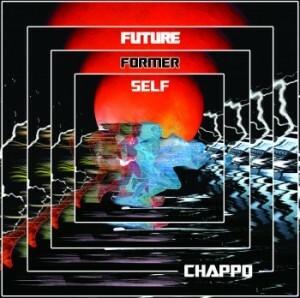 CHAPPO could equally command a dance hall as well as a Bonnaroo stage, an intimate club as well as a stadium. Or, perhaps, they could take their act to the end of the universe.